Christina has taught young children for more than 30 years. At UNI, she helped establish the Freeburg Early Childhood Program where she served as a teacher and curriculum coordinator. At Freeburg, Christina along with the other Freeburg teachers piloted and developed Ramps and Pathways curriculum that led to the Ramps and Pathways NSF grant. 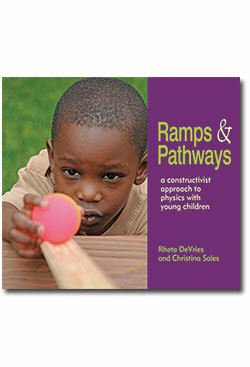 Christina has made numerous presentations throughout the world on constructivist education for young children, and is a coauthor of the books Ramps and Pathways: A Constructivist Approach to Physics With Young Children (National Association for the Education of Young Children, 2011) and Developing Constructivist Early Childhood Curriculum: Practical Principles and Activities (Teachers College Press, 2002). Her areas of expertise include working with classroom teachers, developing constructivist early childhood curriculum, and conducting research on early childhood activities particularly in geometry and Ramps and Pathways.